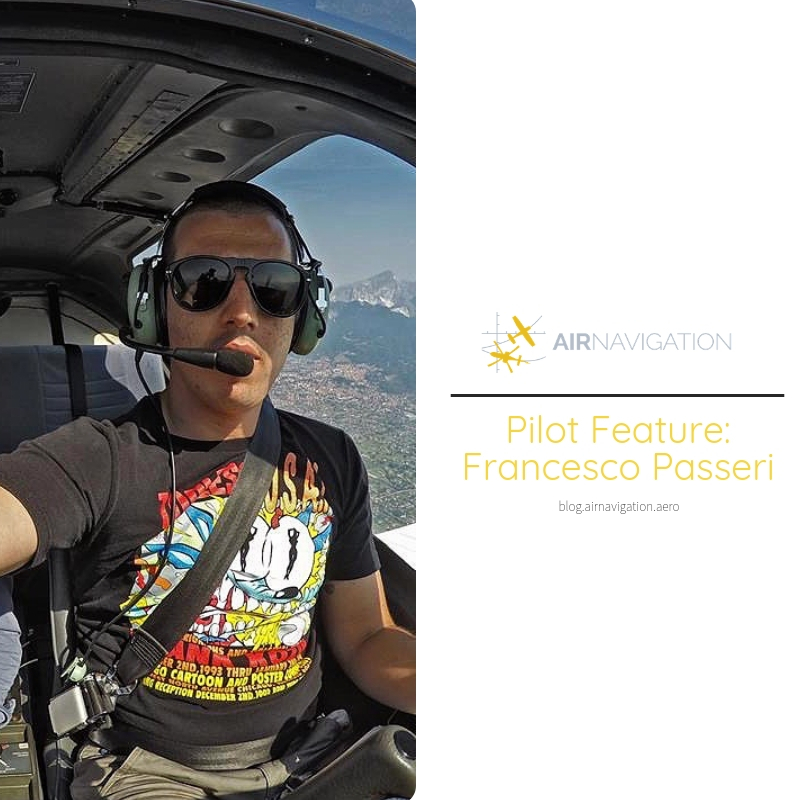 Last August, we met Air Navigation Pro user, Francesco Passeri, a student pilot from Puglia, south of Italy who currently resides in Tuscany, north of Italy. He plans on becoming a full time pilot in the near future. 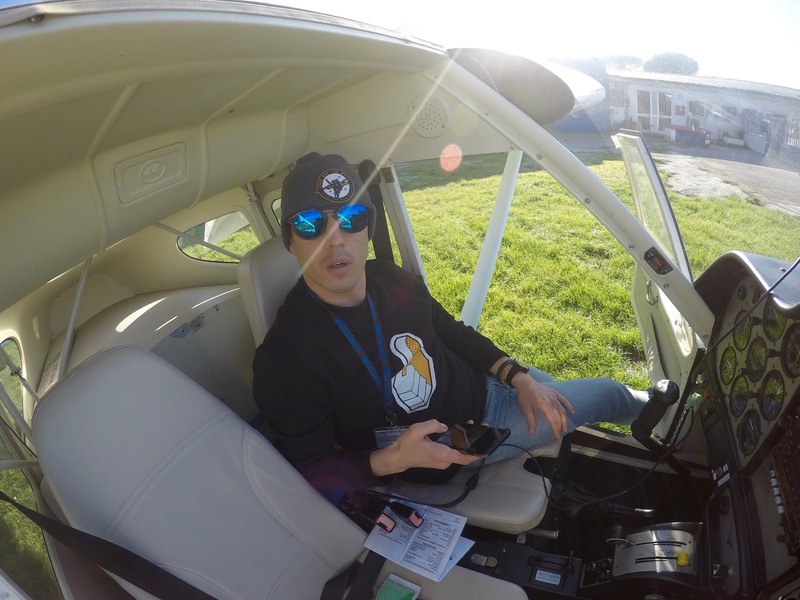 He shared his journey with us here at Air Navigation Pro, on becoming a pilot. Hello Francesco, tell us a little bit more about yourself. My passion for aviation began before I can even remember, there was a time when I wasn't passionate about aviation. I grew up from a poor, little family. My mother is a farmer and in Italy, a farmer's life isn't so easy. The situation made it hard for me to go to flying school, let alone secondary school. When I was a teen, I planned on going to an aviation school but the only aviation school near in my place was a private school which was very expensive. So I choose another school with a promise that I will become a pilot. When I was 19, on the 7th of March 2008, I decided to join Italian army so that I could pay for my licenses with my little salary and I decided to join "Folgore Brigade". I did a heavy selection and almost after 2 years of military physical and mental tests and courses. I got a military parachutist, an honour for me, but I always wanted to be pilot. During my first years in the army, my salary was very little and so I couldn't pay for a license. So I had to save all the money I could in that period. I got my PPL license in 2013 and I got it in only 9 months. For me that's a very short period because I was working and was also doing flying classes. In 2016, I started an ATPL theory course, obviously I did wait some years to save some money which allowed me to pay for it and my last license. I did my first exam session in May 2017, 'cause of my work, in August 2017 till April 2018, I was deployed in the Middle East, an exciting experience for me but during this period the limited time for my exams pass without getting other exam sessions. During my deployment, especially during my only free time sometimes, the night, I studied and prepared for my exam which I could get when I should come in Italy because I never forgot that I wanted to be a pilot. I came back to Italy in the middle of April and got my second ATPL exam session, I've been able to pass all my subjects at the first attempt and until December, I have to do the last 6 subjects. I'll immediately take the last part of my course, CPL/IR/MEP MCC and JOC, hoping to get enough money to pay for it, because I don't want to wait another time, I want to be a pilot! I don't know what I love about flying, but what I'm sure of is that when I'm flying, I enter in another dimension. The fact that you've overhead and all the problems get so little. In fact, I'm often worried about my license and my courses. I sometimes get sad because I think about that maybe I won't ever become a pilot because it's too expensive for me or I have little time to prepare the exam, so I run to my aeroclub, I get in an airplane and I fly to remind myself what I'm fighting for. I love to fly all of Cessna's family aircraft, because I think that Cessna, like Piper and other aircraft brands are the essence of flying. But if you want specifics, my favourite aircraft is the Cessna 150. I did a part of my PPL license with the machine. My favourite destination, this might be common, but I love to fly overhead my city and place where I'm grow up, it's almost a magic to fly remembering the entire days passed on my bouse's roff watching the aircraft fly, but now I'm that flying over my memories. Obviously, my flying dream destination is the USA west coast, also this it's a commonplace, but I think that fly overhead US it's fantastic to a pilot. I hope that could permit it a day. I've known about Air Navigation Pro through some airplane magazines and I read a lot of good feedback about it on pilot forums, so I decided to buy it. - I like the aspect of your app, it's more intuitive and easy to use but also more elaborate and very good for professional use. - It's very useful for me, the function which permits me to save a documents which I could use during my flight. - I also love the maps in your app, it is very clear and easy to read. I have used a lot of maps especially for my job, and sometimes I work with maps that are very very hard to read because of the signs and sometimes the colours make it difficult to read. 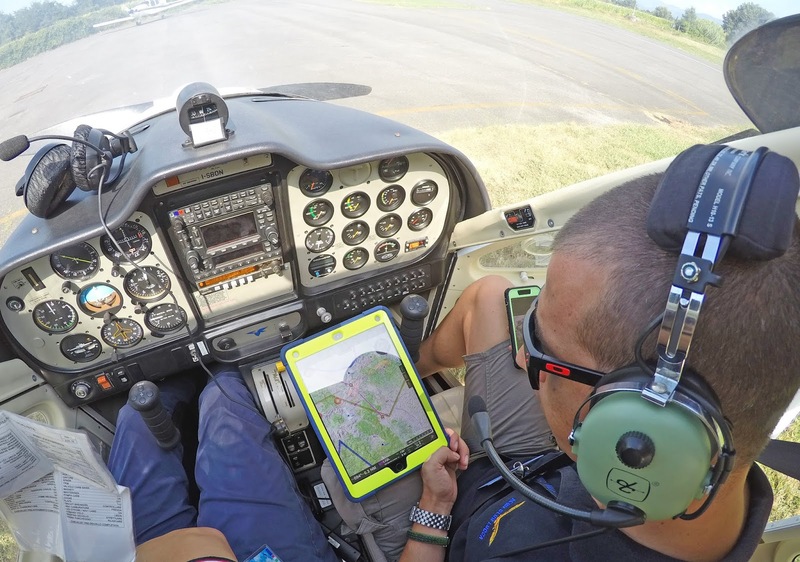 - The function that permits me to look up on the Map to see the closest Aircraft when there's connection. - Another useful feature is that the chart interface can be customized. You can insert and customize airplane data and you can choose what airplane you want to use for your flight without wasting time inserting the data again. I tried SkyDemon for a free period some years ago but I didn't like it but it was my first aviation app. For me, Air Navigation Pro is irreplaceable, the only little issue that I have are that more extensions and updates needs payments. The best time with our app was when I bought it. 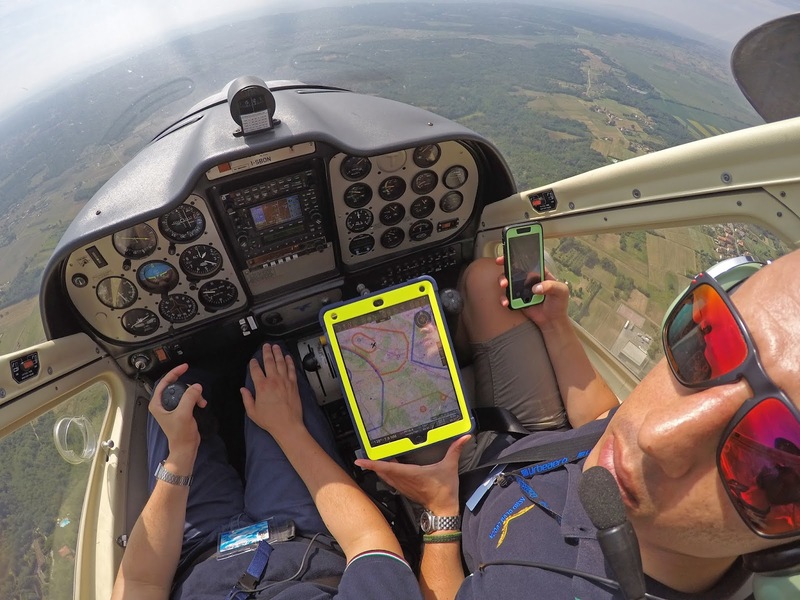 I looked forward to testing it during our flight, in fact, the day after, early in the morning, I was in the airport, ready to fly with Air Navigation Pro around Italy. When I landed, I was already thinking about the next flight and was planning to customize the app for the flight. I'll tell them that the app is easy to use and you can even customize. Try it and for sure you can't fly without the app after using it. When i don't fly it's because I'm working or I'm studying for my exams, especially in this last period of my life "turns around" my licenses. Three years from now, I see myself in some airline company, flying around the world with a lot of memories about my past and sacrifices to get to my dream. My favorite flying memory is what I mentioned above, when I fly above my city, a dream which became reality. I can't tell them anything, I can tell them to just to try and fly. Just like what Leonardo Da Vinci said, "For once you have tasted flight, you will walk the earth with your eyes turned skywards, for there you have been and there you will long to return." I can show them some of my flying pictures so they can see how flying is like magic.